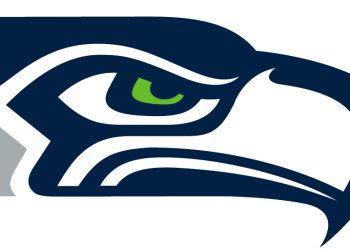 The Seattle Seahawks are a professional American football franchise based in Seattle, Washington. The Seahawks compete in the National Football League (NFL) as a member club of the league's National Football Conference (NFC) West division. They joined the NFL in 1976 as an expansion team. The Seahawks are coached by Pete Carroll. Since 2002, they have played their home games at CenturyLink Field (formerly Qwest Field), located south of downtown Seattle. As the April 15 deadline for Russell Wilson's contract approached, condensing what would have been months of speculation into a few weeks, there were (unfounded) rumors that he wanted to play elsewhere and (accurate) reports that his agent was seeking an unprecedented mechanism that would have tied the quarterback's annual compensation to the salary cap. The outcome, though, was the most predictable one all along: Wilson staying with the Seattle Seahawks -- and doing so on a conventionally structured contract. Details of his four-year, $140 million extension provided to ESPN by league sources confirm as much. As reported, a $65 million signing bonus makes up more than half of the $107 million in overall guarantees. Part 3 in an eight-part series that takes a position-by-position look at the Seattle Seahawks' needs heading into the NFL Draft on April 25-27. Past posts: Quarterbacks; Running backs. \---Today: Offensive line. Mock draft 3.0: Could Seahawks be prioritizing defensive tackles over edge rushers? In front of local reporters at his charity event in Bellevue Thursday, Seahawks general manager John Schneider was mum as to specifics surrounding Frank Clark's future with the Seahawks. “We love Frank,” Schneider said. The hard work of an NFL offseason never really stops anymore. Getting Russell Wilson's future secure may have been job one for Seahawks general manager John Schneider this spring, but there is still an awful lot left in his inbox, including the NFL draft next week, and figuring out whether to re-sign the likes of Frank Clark, Bobby Wagner and Jarran Reed. Schneider took a brief break from it all Thursday night, though, to host, along with his wife Traci, his annual charity dinner and auction for Ben's Fund, which is named after the couple's son and provides financial support for families impacted by autism. Clark has been the subject of much discussion this offseason after being slapped with a franchise tag in March that would pay him $17.1 million for the 2019 season.